The global endoscopy devices market was valued at USD 37,218.5 million in 2017 and is anticipated to grow at a CAGR of 7.3% during the forecast period to reach USD 69,578.8 million by 2026. Endoscopy comprises an illuminated medical device that is used for visualization of the interiors of a hollow organ by inserting it into bodily cavities or small surgical incisions. It is a relatively safe and effective tool, mainly used in conjunction with other diagnostic modalities for diagnostic or therapeutic purposes. The demand for endoscopy devices has increased over the years owing to its minimally invasive nature, fewer post-surgical complications, faster recovery time, reduced hospital stay and minimal scarring. Moreover, the increasing prevalence of cancer, gastrointestinal disorders, and other chronic illness due to the rapidly increasing geriatric population, diabetes, obesity and major lifestyle changes are largely driving the growth of the market. Also, rising patient awareness and physician preference and several technological advancements further augment the market growth. On the other hand, the prevailing insufficiency of qualified endoscopy technicians, the high cost of initial investment and the risk of contamination limit the market growth. Emerging market in developing economies and technological advancements provide numerous opportunities for endoscopy devices market growth. The global endoscopy devices market is segmented on the basis of product type, application, end-user, and region. Based on product type, the market is segmented into endoscopes, visualization systems, endoscopy accessories and other endoscopy equipment. the endoscopes segment is further segmented into rigid, flexible, capsule and robot-assisted endoscopes; the visualization systems is further segmented into light sources, camera heads, endoscopy cameras, transmitters & receivers, wireless display & monitors, video processors & video convertors and others; the endoscopy accessories segment is further bifurcated into tissue-sampling devices, suction traps, overtubes (sleeves), surgical dissectors, cleaning brushes, needle holders and needle forceps and others; and the other endoscopy equipment is further segmented into endoscopy fluid management systems, endoscopy ultrasound, and others. On the basis of application, the market is segmented into arthroscopy, bronchoscopy, cardio-pulmonary endoscopy, laparoscopy, ENT endoscopy, gastrointestinal endoscopy, urology endoscopy, gynecology endoscopy, neurology endoscopy and others. The end-user segment is categorized into hospitals, clinics, and others. 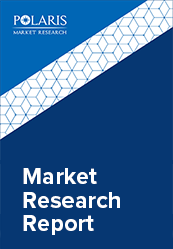 This report comprises a detailed geographic distribution of the market across North America, Europe, Asia Pacific, Latin America, and Middle East and Africa. North America is further segmented into U.S. and Canada. Europe is divided into Germany, UK, and Rest of Europe. Asia-Pacific is bifurcated into China, Japan, India, and Rest of Asia-Pacific. The MEA region is further segmented into South Africa, Rest of Middle East & Africa. North America accounted for the largest share of the global endoscopy devices market in 2017. Influences for instance, favorable reimbursement scenario in the U.S., rising prevalence of cancer cases, growing investments and funds by hospitals and diagnostic centers to acquire advanced endoscopic equipment, growing research and development activities to improve endoscopy, and implementation of a new funding model for Canadian hospitals are contributing to the large share of North America. The key players in global endoscopy devices market have adopted joint venture and agreements along with product launch as their key market strategy. In October 2017, Olympus Corporation and Aries Pharmaceuticals, Inc. entered into a co-promotion agreement for Eleview, which is FDA-approved, the ready-to-use submucosal injection that provides a fast and long-lasting cushion for GI endoscopic resections of adenomas, polyps, and other lesions. In July 2017, PENTAX Medical (a division of HOYA Group) and Shanghai Aohua Photoelectricity Endoscope Co., Ltd. (AOHUA) entered into a joint venture in order to develop innovative products in the field of flexible medical endoscopy to cater to the needs of emerging markets. The leading players in the market include Olympus Corporation, Boston Scientific Corporation, Conmed Corporation, Cook Medical Incorporated, Covidien PLC, Fujifilm Holding Corporation, Ethicon (Johnson & Johnson), Karl Storz GmbH, Stryker Corporation, Hoya Corporation (Pentax Medical System) and Smith and Nephew, Incorporated among others.